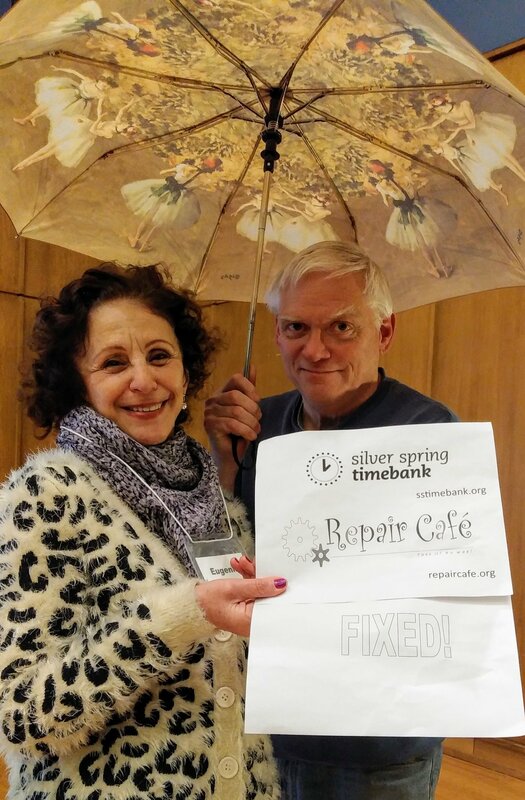 As part of the Montgomery County GreenFest the Silver Spring Timebank will be hosting a Garden Tool "Repair Cafe" . 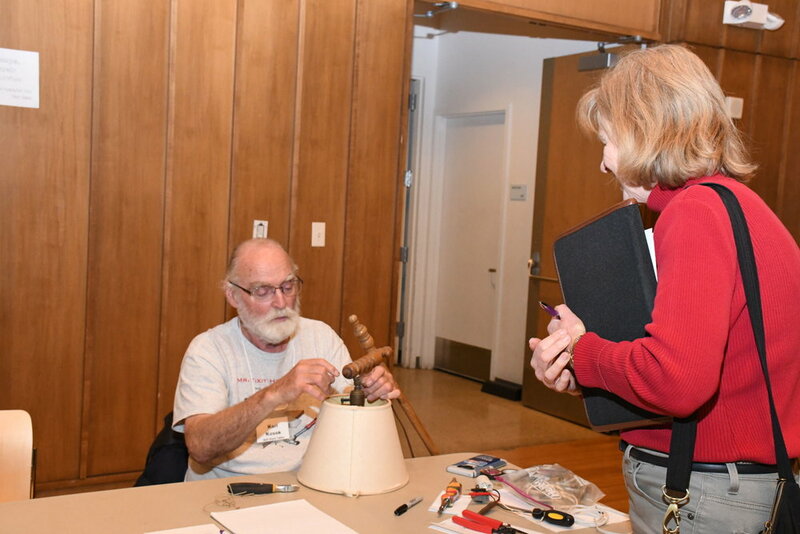 Sunday, April 28 from 11:00 a.m.-4:00 p.m.
Members of the Silver Spring Timebank will be on-hand to help clean, sharpen, and repair garden hand tools such as pruners, hedge clippers, trowels, and weeders. No electric or gas-powered tools, please. Bring in your tools for a tune-up and lesson on garden tool maintenance. This event is FREE and open to the public. Shuttle service is available from Glenmont Metro. We hope Timebank members will attend to support this wonderful community event! 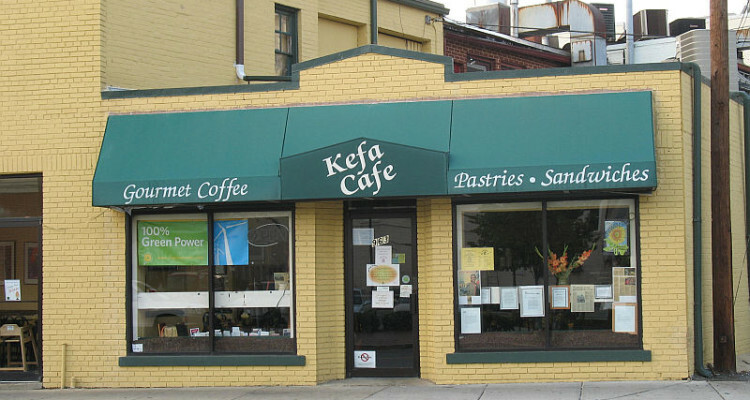 To celebrate International Timebanking Day on March 23 and the founder of timebanking, Edgar Cahn, members of the SSTB met at Kefa Cafe for some "live" exchanges! One member shared his skills with Indian Pins (a form of juggling clubs), while another received help with editing an online brochure. 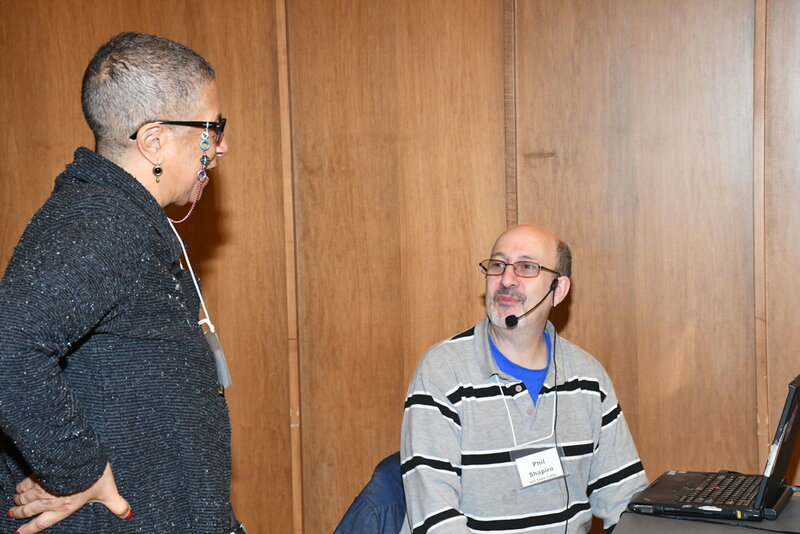 Other members came to ask questions about using the hOurworld software. All who attended signed a Happy Birthday card for Edgar! Below are downloadable presentations and resources from some of the experts that participated in our 2019 Skill Share! 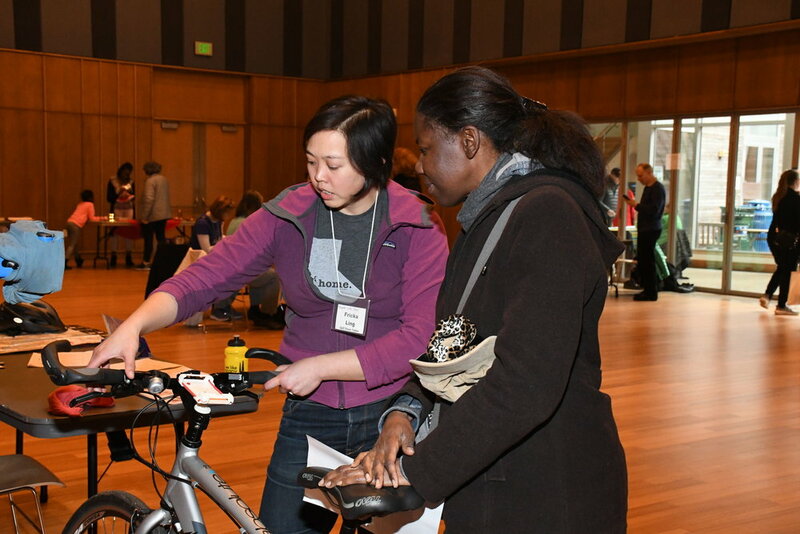 Basic crochet and knitting instruction, proper use of kitchen knives, and bicycle maintenance and repair are just a few of the many skills highlighted at the third annual Silver Spring Timebank Skill Share and Repair Café held Feb. 10 at the Silver Spring Civic Building. 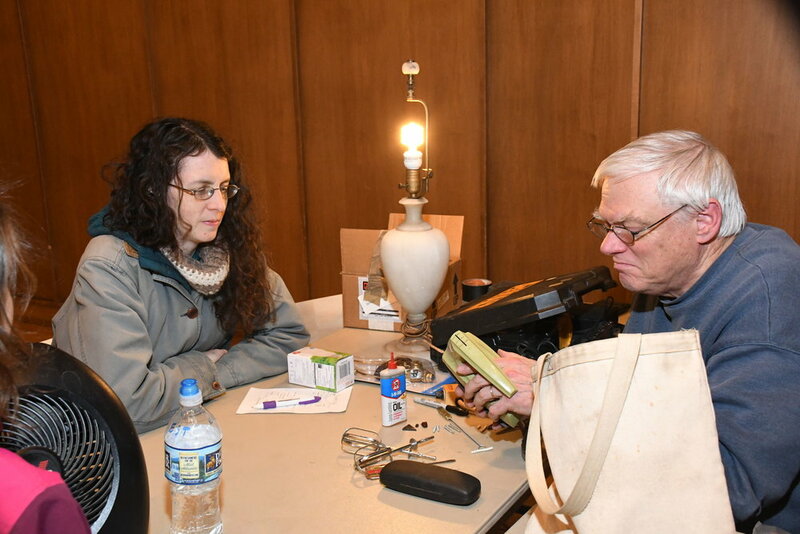 The free event, open to the public, featured talks and demonstrations by timebank members, as well as opportunities to ask questions and to have small items repaired. 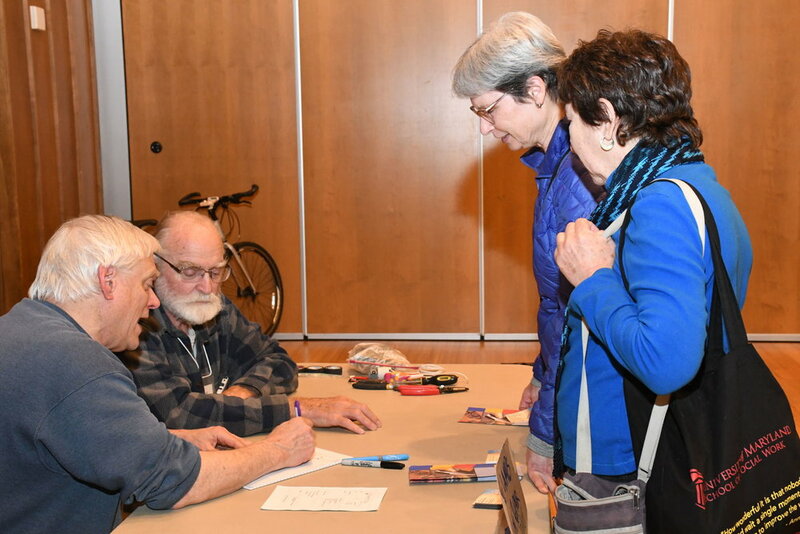 Talks on green living, gardening, food preparation, and social media marketing were very popular. 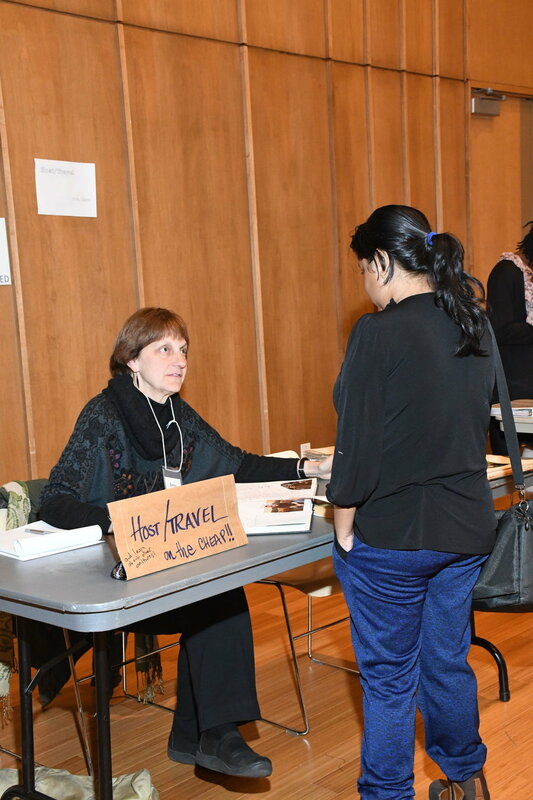 In addition, Dale Brown gave helpful tips on how to find new homes for things you no longer want, as she described creative ways to do this beyond donating to a generic charity. Other talks included Edward Constable, an experienced home cook, who shared knife skills and tips, with a reminder to keep your knives sharp. He advised, “Sharp knives slice food, but dull knives are the ones that cut fingers.” A talk on art journaling for your health by Madeline Caliendo also included useful information. At other tables, Tanya DeKona helped visitors with pottery repair for several types of items; Fricka Ling answered diverse questions about bicycle repair and offered tips on where to ride in the metropolitan area; Simon Mauk, who also can do book repair, gave advice on furniture repair; and Jennifer Okosun, director of a babysitting service that goes onsite for special events, offered suggestions for successful babysitting. 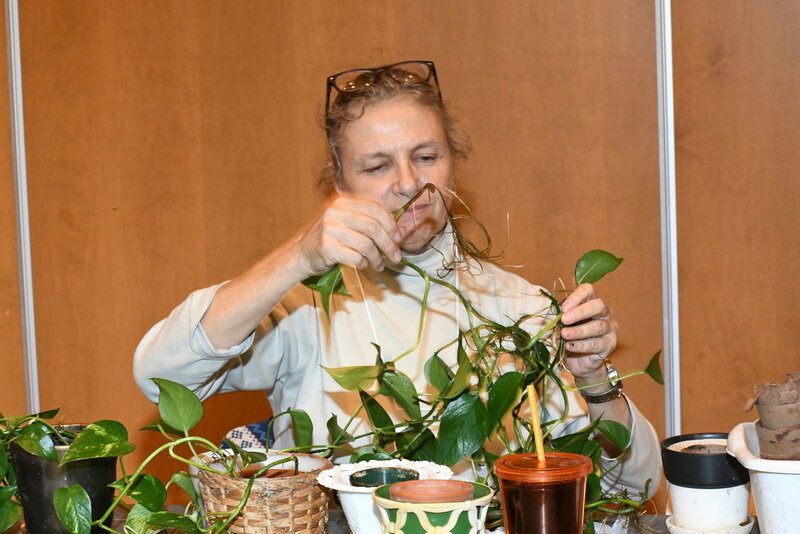 Other areas where attendees could find expert advice were houseplant care with Lisa Jacobson, and how to make sauerkraut in your home kitchen by Linda Andrews. 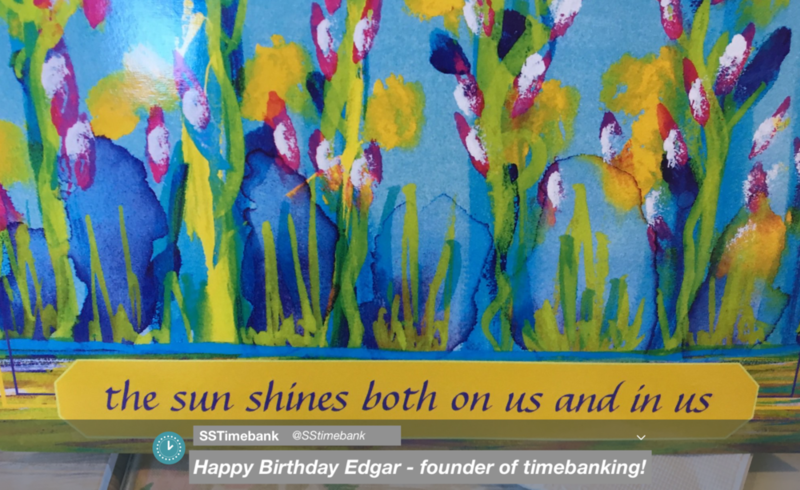 SSTB is a timebank in which people exchange their services for hours of credit that are “banked” so they can use the credit later for other services they may need. No cash is exchanged. In addition to the website linked to above, more information about the timebank can be found on Twitter and Facebook. https://www.sourceofthespring.com/general-news/events/skills/#.XG1rMpNKii5. Photos courtesy of SSTB members Mark Paster and Laura Kranis. 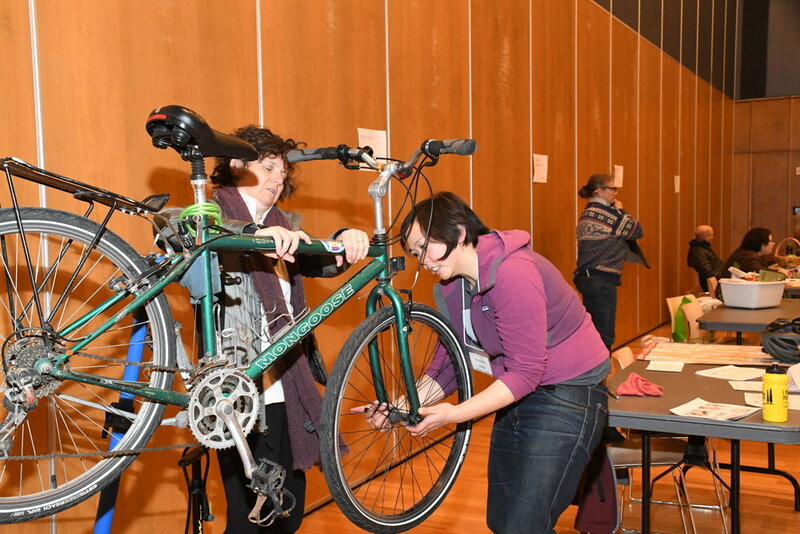 It's time for our Skill Share and Repair Cafe! 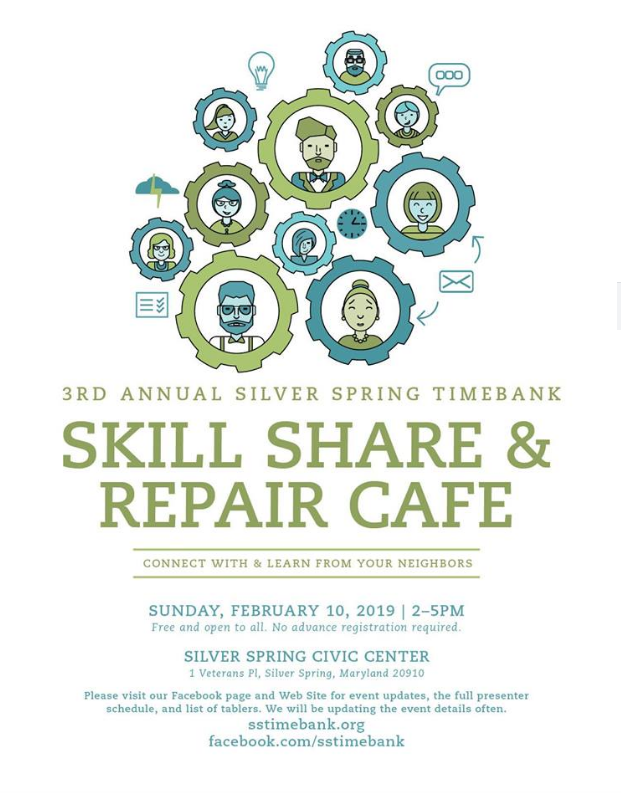 The Silver Spring Timebank is hosting its 3rd annual Skill Share along with an added Repair Cafe new this year! This event will promote our timebank's talents to the entire community. It is FREE and open to the public. 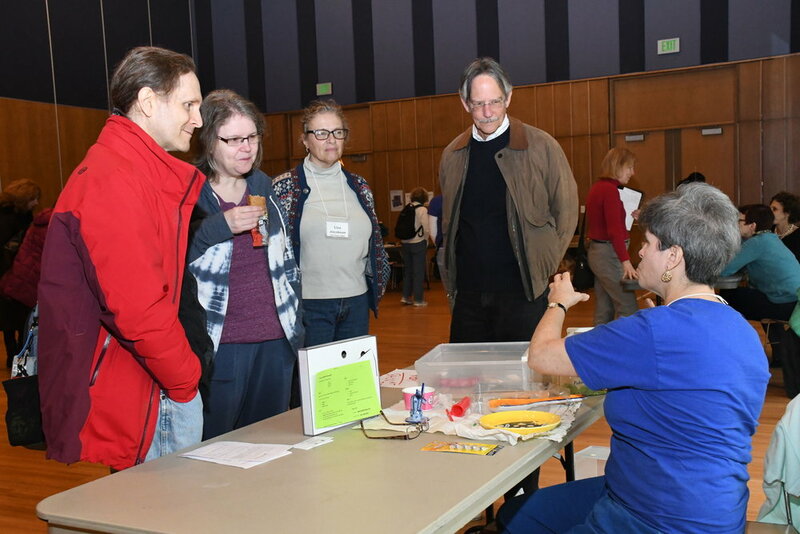 If you're not sure what a Skill Share or Repair Cafe is, check out the video from our January 2018 Skill Share and our May 2018 Repair Cafe at the Montgomery GreenFest. We have all NEW speakers and expert table topics for our February 2019 event. See below for the line up* of all including several repair experts. You can pop in for one or two talks and visit a few ask-the-expert/repair tables or stay for the entire event to absorb it all. We hope you will be inspired to join the SSTB, but there's no pressure to do so. We just want you to enjoy yourself and learn something new for the New Year! Bring your friends and family and please forward this email to others. Also new this year: babysitting for up to 12 children. We’ll have childcare provided by Black Tie Babysitting but advanced reservations are required. Click on this link to reserve your spot. *As with all live events, final details may change. Check our Facebook page, Twitter page, or event signage for any last-minute adjustments. We will have a childcare room available. Watch for more information about how to reserve a spot for your child on our Facebook page. The Silver Spring Civic Building is at the corner of Fenton Street and Ellsworth Drive. It is an eight minute walk north from the Silver Spring Metro Station. Many bus routes can take you to and from the building -- Metrobus F4 and Ride-On #16, #17 and #20 pass by on Fenton St. Metrobus J4 and Ride-On #15 and #19 stop at the corner of Wayne Ave & Fenton St. Metrobus Z6 and Z8 and Ride-On #9 and #12 stop nearby along Colesville Rd. The Metrobus Q and Y lines stop on Georgia Ave and Wayne Ave. If coming by car, plentiful evening parking is available at the Town Square Garage just across Ellsworth Drive from the Civic Building. Do NOT park in the Whole Foods parking lot or you risk being towed.